Bansal's decision to sell his entire stake to Walmart was reportedly the result of differences with the investors. Guess what famous startups like Facebook, Google and Snapchat have in common? Their founders have managed to retain control over their labours of love while raising money in the capital markets through shares with differential voting rights (DVR shares). 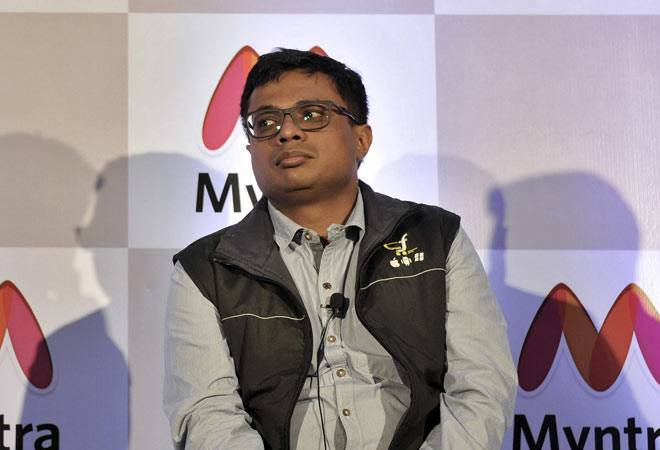 And Flipkart cofounder Sachin Bansal, for one, believes the instrument is much-needed in India, too. One of the country's newest billionaires courtesy his recent exit from the company post its $16 billion deal with Walmart, Bansal told The Economic Times that differential voting rights will be helpful for the Indian startup ecosystem, especially for entrepreneurs. "If you look at China and the US, dual-class voting structure has helped create better companies," said Bansal, on the sidelines of the ET Startup Awards jury meet. "Building a company is like a very long train journey. The entrepreneur is the driver, investors and employees are passengers. They get on and get off. If you take a 20-30-year view, no investor or employee will stay. Empowering the driver is good." He previously pointed out to the daily that the "great companies" in India, like the Tata and Birla groups, all boast "highly-empowered families" and entrepreneurs who retained control. "Today, we need more capital than before and dilution happens. How to create a Tata or Ambani situation while being able to take a lot of capital? Dual-class shares should be good. I am in support," he had added. Bansal's decision to sell his entire stake to Walmart was reportedly the result of differences with the investors. The buzz was that Bansal had demanded stronger shareholder rights and better role in the operations of the resultant entity, which was opposed by Lee Fixel of Tiger Global Management, one of the major backers of Flipkart, and the company's board. He had previously been moved from CEO position - replaced by co-founder Binny Bansal - at the behest of investors. Disappointed by the turn of events that sidelined him, an exit was the only way out. Incidentally, the appointment of former Tiger Global executive Kalyan Krishnamurthy as CEO of Flipkart last year had led to a certain amount of angst in social media, especially from founders of other start-ups and employees in the e-commerce space, since it was seen as a big investor flexing its muscles. The recently-released first draft of the national e-commerce policy proposed to change this status quo and allow Indian ecommerce entrepreneurs to finally step out of the shadows of large investors. The draft suggests there should be differential voting rights, giving founders more control. An executive with an ecommerce company who participated in meetings on the draft policy, told the daily that when the issue of differential voting rights was brought up, the government said it is already allowed but the industry felt it was not being implemented due to investor pressure. "It was because of this dichotomy that the provision was mentioned in the policy," the source added. The Walmart-Flipkart deal had prompted a flurry of predictions about an impending colonisation of the internet economy - the oft-quoted reason being the inability of domestic internet companies to issue DVR Shares since the law did not allow it. But that perception is incorrect. According to Ajay Joseph, Partner at Mumbai-based law firm Veyrah Law, only listed companies and unlisted public companies are subjected to conditional restrictions for issuing DVR Shares. "All private companies can easily issue DVR Shares," he clarified, adding, "It is indeed quite surprising that none of the founders of Indian internet companies - almost every major company in the space is a private one - have opted to structure investments using DVR Shares". The trouble, according to Joseph, is that institutional investors are unlikely to accept these structures for their Indian investments, although they may readily accept it in other markets. That's because of India's poor reputation. India is ranked at 164 out of 190 for 'enforcement of contracts' as per the World Bank's ease of doing business 2018 report. "During the years 1995-2008 many institutional investors had invested in the India growth story, until the financial crisis engulfed world markets. The resulting adverse conditions exposed the fallacies in the Indian enforcement system, when investors were left to dry by their business partners. Many [of them] conveniently reneged on their contractual obligations by exploiting the delays in the Indian legal system," said Joseph. But the Centre is slowly waking up to this problem and taking steps to redress it. In May, the daily had reported that the government was expected to offer hybrid instruments to allow promoters to retain control of an entity even with a minority stake, a move seen as beneficial for startups when it comes to fundraising. Meanwhile, the Securities and Exchange Board of India (Sebi) is considering a proposal for listing startups so companies can sell DVR shares.